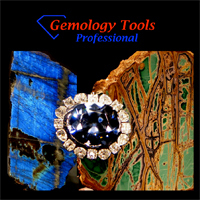 recently released two products focused on practical gemmology. 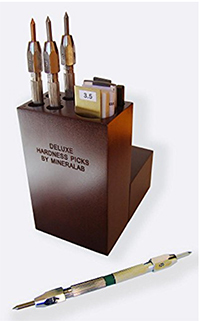 A pamphlet titled ID of Transparent Red, Pink, and Purple Gems with Portable Instruments describes how to separate natural from synthetic gem materials within this colour range using four instruments: 10× loupe, polariscope, spectroscope and the PL- Inspector/Jewellery Inspector. And, a poster (82.5 × 40.0 cm) titled ‘Steps in Screening and ID of Lab-Grown Diamonds’ provides a convenient reference for the process of identifying synthetic diamonds using both basic and advanced instrumentation. The PL-Inspector (PhotoLuminescence Inspector) allows observation of fluorescence and phosphorescence from short-wave (SW) and long-wave (LW) ultra-violet illumination. 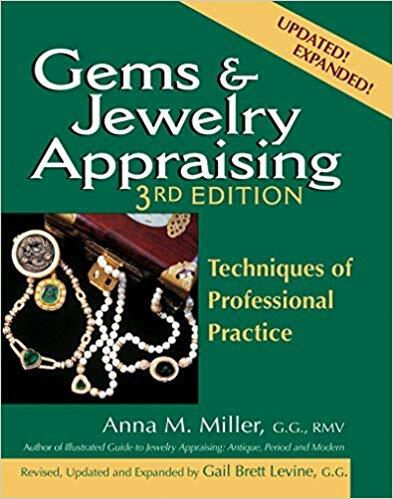 These observations can help a gemmologist determine whether a diamond or gem is synthetic or treated. The colour and intensity of the fluorescence provides a useful indicator, with a common test being whether the SW intensity is brighter than the LW, thereby suggestive of a synthetic diamond.